Our Orlando center is designed to help you achieve your goals, no matter what they may be. We understand many individuals are unhappy with their appearance. From small adjustments to major changes, many people have their problem areas. 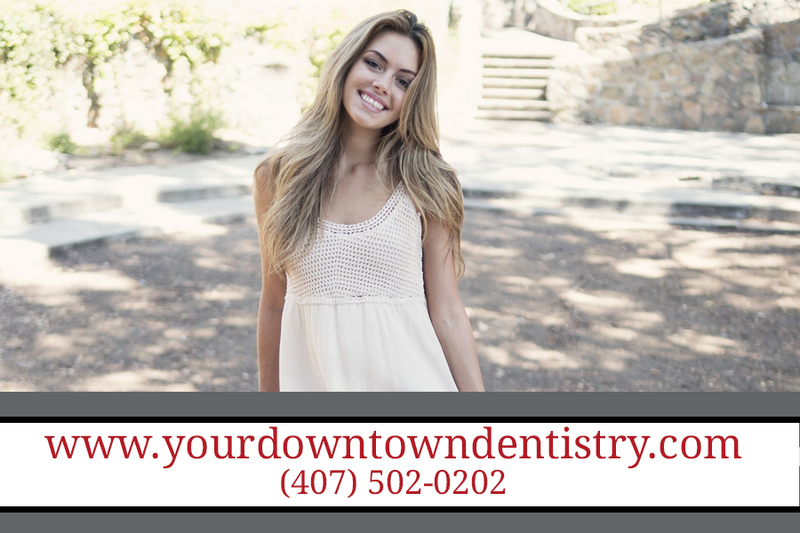 At Your Downtown Dentistry, we want to see how we can correct those insecurities. Our experienced staff sits down with each patient to determine the best course of action to help them achieve the results they are looking for. We will make recommendations and create a treatment plan based on a desired outcome. We want you to enjoy the way you look and will do our best to guide you in the right direction. Are you very expressive when you talk, your emotions showing on your face? Do you tend to frown a lot when you’re stressed or angry? Do you squint in the sun or to read fine print? Botox works best on lines and creases that are seen in the midst of facial expressions, such as frowning or smiling. The lines you see when someone frowns (on the forehead, between the eyebrows) or smiles (crinkly wrinkles at the corners of the eyes-“crow’s feet”) can be greatly helped with Botox. Other, more deeply set wrinkles that are seen when your face is expressionless are not helped as well with Botox. Your individual needs, though, will be expertly determined by Dr. Ali Behzadi during your consultation.